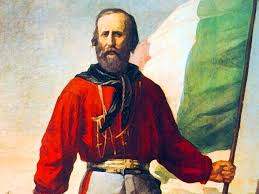 Garibaldi holding an Italian flag. Four years ago, I was finishing my research on Matthew Fontaine Maury’s propaganda work in Europe and was reading a number of British publications from the American Civil War era to get a feel how widespread his writings were in publications such as the Times of London, Edinburg Review, London Review, Athenaeum, and more. They were plentiful, often reprinted with new commentary — the Leaders [similar to editorials and opinion pieces today]. I could imagine Maury, onetime head of America’s National Observatory and one of the most popular scientists on both sides of the Atlantic, reading those pieces and becoming nauseous or throwing the offending publication down to the floor in disgust. The animosity between Davis and the “Cotton Kings,” such as Stephen Mallory, Confederate secretary of the Navy was a living, breathing entity that kept metastasizing over the years. They were “small men” in Maury’s words who had banished him. At the same time, I came upon an a New York Times “Disunion” Opinionator piece by Don Doyle, a history professor at the University of South Carolina, headlined “Bully for Garibaldi” and was stunned to learn that Garibaldi was being touted as a potential leader of the Union Army of the Potomac by some in the North and offered at least command of an Army corps by President Abraham Lincoln. 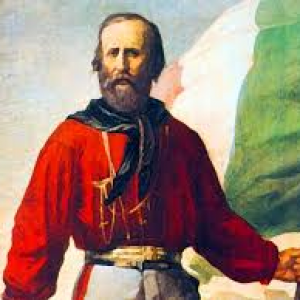 Readable popular history of Garibaldi and the era by Christopher Hibbert. Wow! I didn’t know that. Garibaldi? So how did I end up after all those years in that cocoon of ignorance. In a way, it was not surprising, particularly in Garibaldi’s case, whose distaste for Pius IX in particular, and priests in general, certainly matched Maury’s disdain for Davis, et. al. “Risorgimento” would not have been worth more than a fleeting mention [which I don’t remember in any case] in a Catholic high school in Cold War Chicago. The choice of Italian as my modern foreign language was probably a surprise to my parents because my family background is overwhelmingly Irish and English. The reasons I chose it over French, Spanish, German, Polish [yep, remember this is Chicago I am writing about with 800,000 residents or so of Polish ancestry], and whatever other languages were offered in high school are long lost. But at the time, I already had taken two years of Latin [and done well] and a year of classical Greek [and did better than I expected] and, as a result of early success, stayed with those two “dead languages” through my sophomore year in college using the A’s and B’s there to cushion the low C’s in real sciences and mathematics. We first translated simple primers and then, surprising to me still, moved into translating some Verdi operas [which we later saw performed]. This was our full immersion baptism into Italian culture. We went to the Chicago Art Institute [and near it, actually closer to the Hilton, in Grant Park, where we learned a street wasn’t called Balboa Drive, but Balbo Drive, named for Mussolini’s air force commander, not for a Spanish conquistador who crossed the Isthmus of Panama, etc. To my teen-aged mind [and leaning that way still], the best part of this course of study in culture was the food [and not just “Hot Italians,” the great beef sandwiches that I had been eating since the middle grades of grammar school] but everything after spaghetti and “Deep Dish pizza,” invented by a Jewish guy. Italy in the late 1950s and 1960s seemed poised to take its place in Chicago’s and the country’s “Captive Nations Week” observance in the third week of July [presidentially proclaimed by Dwight D. Eisenhower in 1959 — Congress six years before; not renewed by Barack Obama or Congress under Democratic or Republican control when he was sworn into office in 2009]. But somehow, Italy never succumbed to one-time Justice Minister Palmiro Togliatti’s “Red Menace,” probably through selective American bribery of strategic Italian political figures in the Christian Democratic Party and minor parties that would join its tenuous coalitions. But how Italy ended up as one country was something that really never crossed my mind then and for decades afterwards. So fast forward to 2012 and I came upon another “Disunion” piece by Doyle. Man, I vowed like St. Augustine of Hippo, that has to change: I am going to close that educational gap. Being a saint in the making, Augustine sought “chastity and continence;’ I believe I had to translate the “Confessions,” sometime after Cicero and his long, winding sentences. Give me Gaius Julius Caesar’s plain style, one that Ulysses Grant used to great effect. I finished the Maury work and moved into researching another Confederate naval figure. This took me into Canadian periodicals of the same era to get a handle on the depredations this “guerrillero” wrought on both sides of the Great Lakes frontier. Like the publications from Great Britain, I found more favorable comparisons between the Italian liberators and Davis and crew in the Confederate-leaning ones. Then as the “Disunion” series was winding down, along comes another piece by Doyle that says: Get to it now! It took six more months more, but I at last took the step to find out more about the history of people who spoke a language that I love [can still read some] and understand “cosi, cosi,” if not in too heavy a dialect. Thanks Don Doyle and Clay Risen. previous post: The ‘Real Santa’ and Can We Go Again?